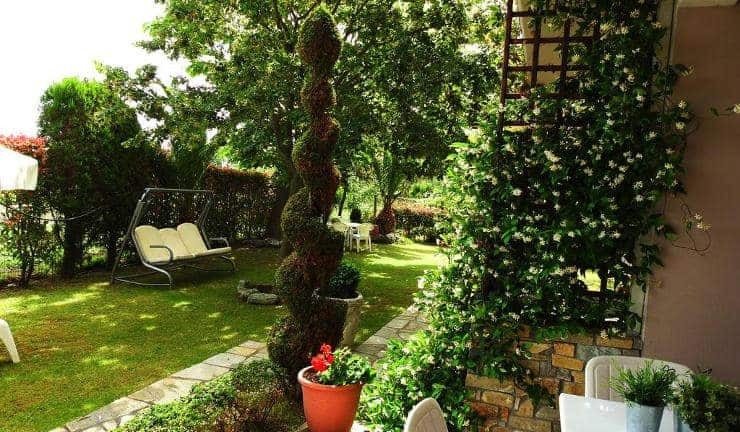 Situated 70 m from the beach of Velika, Garden House features a garden with seating areas, swings and BBQ facilities. It offers self-catered accommodation overlooking the rich greenery. A kitchenette with cooking facilities, fridge and electric kettle is included in all the air-conditioned units at the Garden House. Each has a flat-screen TV and bathroom with toiletries and hairdryer. Guests can enjoy a cup of coffee in the lounge area. Taverns and shops are within 70 m.
Staff can offer information on activities such as kayaking and area tours. The town of Larisa is at 55 km. Free private parking is available on site.